As an archaeologist or paleontologist, it must get a little old to only ever come across the decayed remnants of relics from history, forced to dream up what they must have looked like in their heyday. You're probably always waiting for your Laura Dern-in-Jurassic Park moment, when you might actually get to see what you study up-close and unblemished, in all its original glory. So, you can imagine just how pumped a crew of scientists must be after recently stumbling across what's been confirmed as "the oldest intact shipwreck known to mankind" at the bottom of the Black Sea. 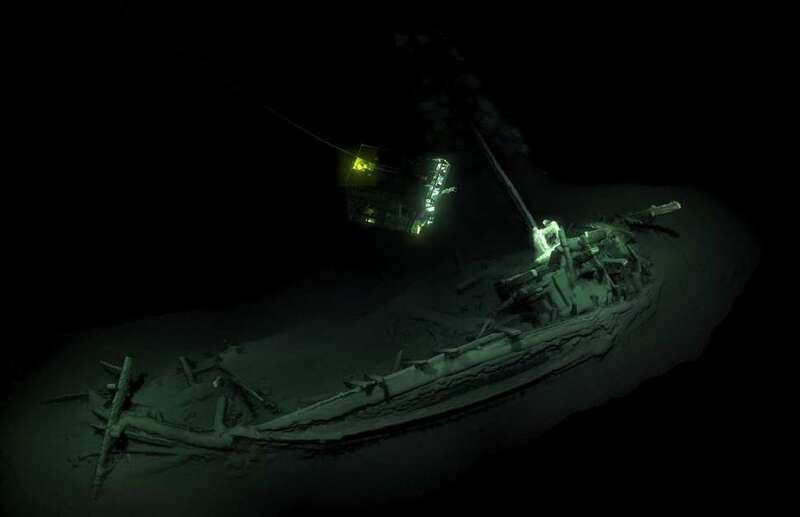 The remarkably well preserved 75-foot ship, which was spotted about a mile below the surface by a special team equipped with advanced search gear, is thought to be ancient Greek and about 2,500 years-old, according to a report from The Guardian. And based on the small piece that's been carbon dated to 500BC, it's being hailed as the oldest fully intact shipwreck ever discovered. What's even more incredible is that it closely resembles the type of trading vessels that have only previously been seen depicted on ancient Greek pottery like the Siren Vase, which is on display at the British Museum. Scientists found that pretty much everything, including the ship's mast, rudders, rowing benches, and even coils of rope are all essentially preserved, which experts owe to the lack of oxygen at such depths in the Black Sea. The Black Sea MAP team has found over 60 other very old wrecks in their three-year search, though they intend to leave this one where it was found ,pending further research. And as exciting as this major discovery is and all, it's a little disappointing it wasn't made by an 8-year-old.